What do American people think about China? I don’t like to generalize. 1、An undiscovered treasure when it comes to the West. We still don’t get how rich it is in culture! And yes, I know there are plenty of Americans who know China, but there are sooo many who don’t. 2、A little bit overwhelming. And by that I mean, the crowds in the major cities of Beijing, Shanghai, etc. Then there’s the language. So different! Then there’s the culture. The code of conduct. How can I possibly learn it all? 3、Really, really smart. As I got to learn Mandarin, I also learned about Chinese philosophy, medicine, art, etc. Holy cow, you guys are smart! 5,000 years of thought. Makes me as an American feel like an infant. 4、Really, really different. Western thought is kind of like a square; Chinese thought is more like a circle. Finite vs. Infinite. Huge, huge difference in modes of thinking. 5、Welcoming. My Chinese friends are some of the best in my entire life. I have never felt so loved, adored or welcomed by people. My real introduction to China has been through my tutor, Helena, so I have her to thank for exposing me to all this. 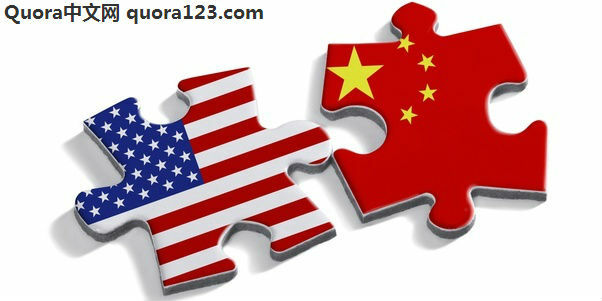 If you don’t know about China as an American, make a friend from there and trust me, your perspective will widen! I am only one American, and I am not a world traveler. I guess I have that in common with lots of Americans. I do not want to go into political opinions of China. That could get out of my depth in a hurry, but I do business with Chinese business quite often. I have had an opportunity to form an opinion of the Chinese people I have done business with. For the most part, they are friendly, honest business people who go out of their way to keep their customers happy. They seem to realize something many American businesses seem to have forgotten, or just don’t care about anymore; happy customers are good for business. I ordered a product from China. It took about 2 weeks to get from China to the US. Then, for no reason anyone can account for, it got held up, or just plain lost, either in customs, or the post office for 2 months. The Chinese merchant was effusively apologetic, and without my asking, extended my buyer protection. The merchant kept checking with me to see if my package had arrived. All in all, very concerned and solicitous. On the other hand, I got nothing but rude treatment from USPS, and customs never responded to my inquiry. This is just one experience, but I have never had a bad experience with a Chinese merchant. From all of this, I can gather that, politics aside, Chinese people are a lot like people everywhere. I can’t understand why people harbor ill will toward people who go out of their way to be friendly and courteous, while tolerating just the opposite from our own government officials. There is something just wrong about that picture. Joseph Lemien, I study China, speak Chinese, and lived in China. Originally Answered: What do regular Americans think of China? My impression is this: regular Americans think that China is a communist state (sometimes the words facist or dictatorship are used) and that people in China all or mostly work in sweat shops and have very little freedom. Americans tend to believe that China is a negative influence in Tibet, and that it is a aggressive and bullying force around it’s borders. In the United States the perception that China is somehow stealing American jobs is common, and China is often seen as a rival or a competitor, in a purely economic sense, but also in a political sense. There is a lot of fear of a non-democratic country gaining such power and influence in the world. I think that the general impression is that the rise of China has more negative consequences for the world than positive consequences for the world. People who are more educated tend to have more balanced and nuanced views of certain issues, but the underlying theme of negativity is still common. A vast majority of americans severely dislike the gov*ment of China, and don’t have much information about or impression of the culture or the common people aside from Kung Fu and Wuxia movies. As an added note, most regular Americans do not know very much about China.